There was a time when choosing the type of artificial turf for an athletic playing surface was easy. In fact, there was no choice at all. Originally sold under the name ChemGrass after it was invented in 1965, the renowned product changed its name to AstroTurf after it was installed at the Houston Astrodome a year later. The original product was a short-pile synthetic product that looked more like a rug than grass. Over the years, the technology surrounding artificial turf has progressed immensely, and there are much more advanced and safer products on the market. These new surfaces have long blades that mimic the look, feel and performance of real grass, with the added benefit of extra durability and lower maintenance. This is why artificial turf has grown substantially in popularity for athletic playing fields for not just professional and collegiate teams, but for high school and youth leagues as well. When people are weighing their choices of artificial turf options, they often concentrate on just the playing surface, but doing so is very short-sighted. That’s because one of the most important parts of artificial turf is the infill. Infill is the dense, fine particle materials that are located at the base of an artificial turf system. Infill is the base that holds the entire system together – from supporting the blades of artificial grass to acting as the ballast, footing and shock absorption for the athletes running on top. 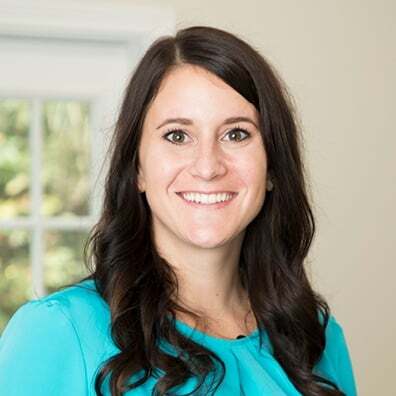 In fact, if an artificial turf system is installed correctly, 90 percent of it by weight should consistent of infill, with the rest comprised of the turf and pad. Infill has a greater impact on the performance of the artificial grass system than any other component, and pound for pound, there is significantly more infill than any other component. Since infill was first introduced in the late 1990s, most artificial turf systems used crumb rubber as the primary material. Over time, though, it became apparent that crumb rubber just wasn’t good enough for many field owners. Today, there are a number of different options for artificial turf infill that provide a multitude of benefits to the system and to the athletes that play on them. In addition, artificial turf systems can be designed specifically for geography, sport and maintenance concerns. 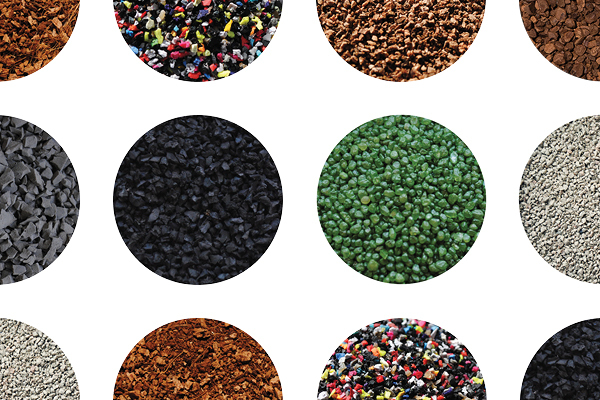 Here are some of the most popular options for artificial turf infill. Coated sand is one of the best infill options for artificial turf surfaces because of its superior durability and consistent performance. 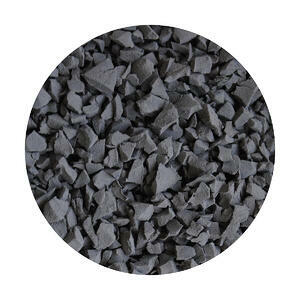 In this category of infill is our USGreentech Envirofill Sports product. It’s made of round granules of sand that are coated with an acrylic polymer that helps avoid compaction while also inhibiting the growth of bacteria in the infill. Among infill products, Envirofill provides low maintenance, high durability and excellent performance, and is a proven, clean and safe product. While coated sand can be perceived as more abrasive than other infill products, if the product is used with the recommended turf specification, the abrasion levels will be similar to crumb rubber. The initial perception sometimes is that it’s too firm. Gone are the days when a soft and spongy-feeling surface meant it was safe. The firmness of Envirofill will enhance performance for the ball and athletes, while the shock pad works underneath the surface to ensure safety. There are plenty of other advantages to using this type of infill as well. First, it’s a combination of natural and synthetic materials made just for artificial turf. It’s also very sustainable, as it can be used for two lifecycles and has a 16-year warranty. It has limited migration, and provides a consistent Gmax and playing surface over the turf’s lifecycle. Organic infill products are becoming very popular for obvious reasons. They are mostly made from walnut shells, cork and cork/coconut blends, and are all-natural, free of chemicals and can be composted. Some of the downfalls of using an organic product for artificial turf infill is it may require additional maintenance and some irrigation for optimum performance, and may tend to float and migrate with heavy rains. However, organic infill products do play more like a natural surface. USGreentech Safeshell is one of the best organic infill products available. It is an all-natural product made in the U.S. that provides all the benefits of organic infill with much lower maintenance than other products in the category. Safeshell doesn’t break down or change in hot and/or wet climates, and its round shape prevents it from floating and performing the same whether the artificial turf surface is wet or dry. Unlike many other infill products, Safeshell is one of the only natural infills that doesn’t require irrigation for the warranty to stay intact. 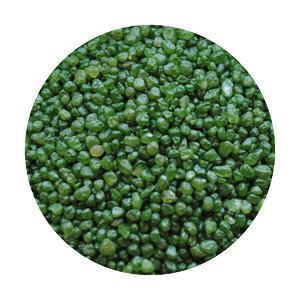 In addition, it helps reduce the surface temperature of the artificial turf system, especially when compared to rubber products. 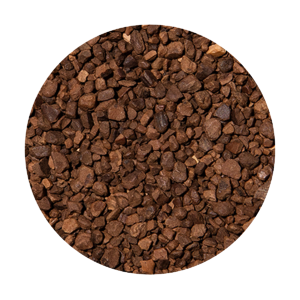 Crumb rubber is a widely used infill product because it’s readily available, is a relatively low-cost product and is non-abrasive. However, the benefits don’t go much further than that. Crumb rubber is made from ground up car and truck tires, which is combined with raw silica sand to make the final product. Some have concern about the health risks associated with crumb rubber because there are more than 90 chemicals in the product. It also might have an offensive odor and be dirty, and must be properly disposed of at the end of its life. In addition, a crumb rubber infill will retain a significant amount of heat, further adding to health concerns about the product. 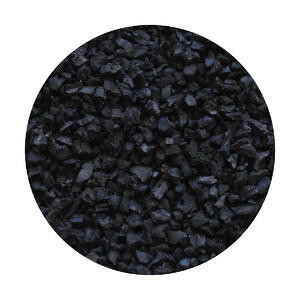 Virgin polymers are similar to crumb rubber systems. This infill category is made specifically for athletic playing surfaces, with the two main types being EPDM and TPE. The main advantage it has over crumb rubber is it is a virgin product, meaning it is made from known components that can be modified to enhance the product and avoid specific chemicals. Other advantages of a virgin polymer infill is it’s resilient, consistent, non-abrasive and designed to include safe chemicals. Some of the downfalls is it is more expensive than other infill options, and it can be an issue to control the quality of the foreign-sourced material. Paying particular attention to the infill you choose is essential in getting the best artificial turf system for your athletic playing surface. Infill is perhaps the most important component of the system. Whatever product you choose, make sure it fits your needs the best while also taking into consideration what the product is made from and what impact it will have on the environment. What is capillary action and what does it have to do with infill? What is Artificial Grass Infill and Why Do You Need It?